Chunks of extruded soya protein, plain, deep frozen. *Compared to other protein sources, plant protein is resource efficient and has a lower climate impact. Oumph! is high in protein and fibre, and a source to iron and folic acid. Shallow Fry (From Frozen): 1. For the most delicious Oumph!, fry in oil for 5-6 minutes from frozen or 3-4 minutes if thawed. Fry on high heat until slightly crispy. 2. Serve with what you like best! 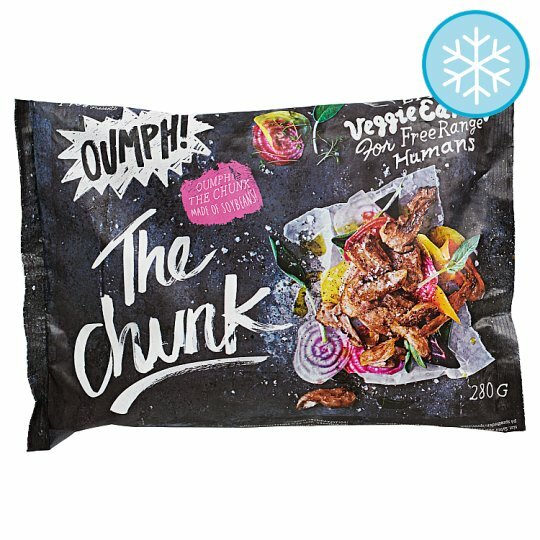 We like our Oumph! with fresh vegetables, seasoning and sauces. Or try it in a casserole, adding it last, for the perfect amount of bite.